Everyone had fun making their own sundaes when our client WB Mason decided to do a “Just Because” sundae party for employee appreciation! 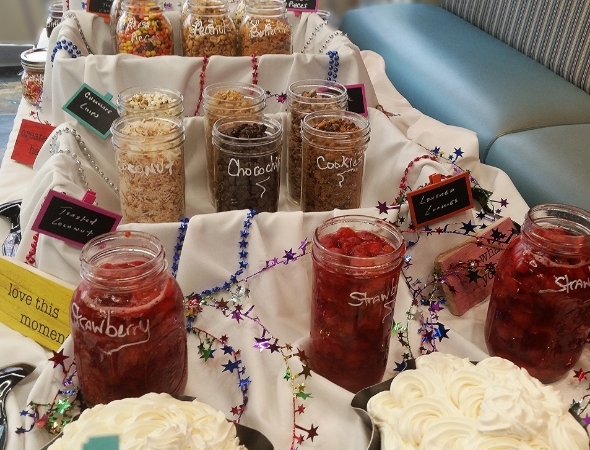 We created a nostalgic look buffet with Ball canning jars and chalk signs and wonderful sweets. 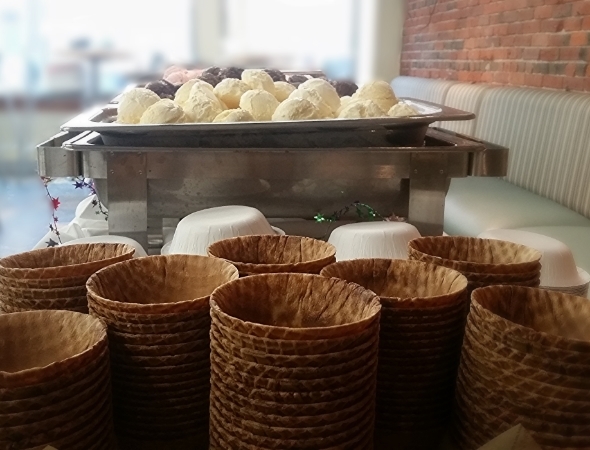 Our guests were treated to several types of ice cream to fill their waffle bowls, and the toppings were abundant from chocolate chips to Reese’s Pieces. We also served a sugar free/dairy free Homemade Watermelon Granita which was a big hit for a lot of our folks.